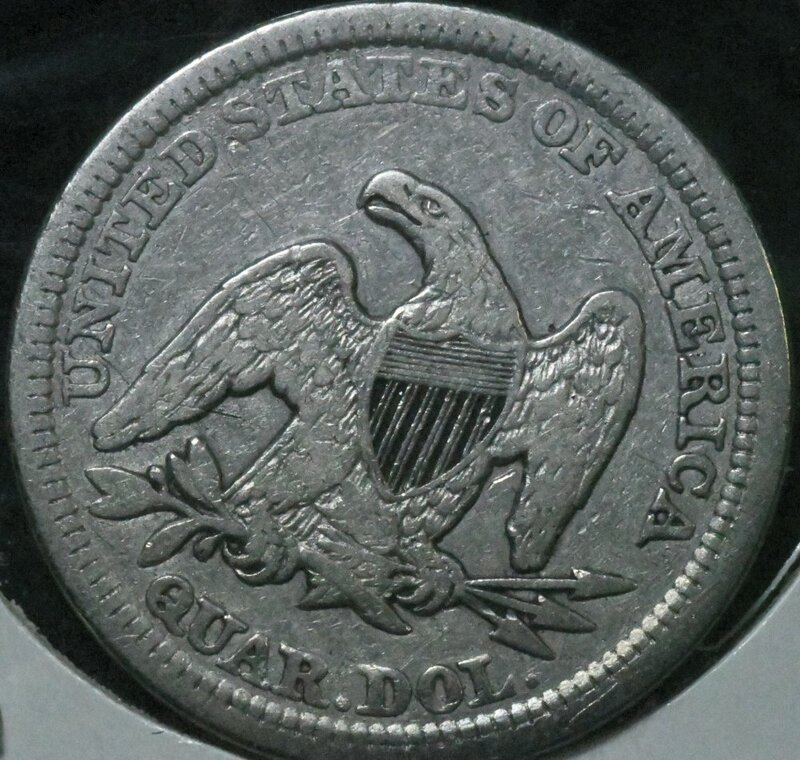 ﻿﻿ 1857 Liberty Seated Quarter With Motto. for sale. This is a nice clean circulated silver quarter. 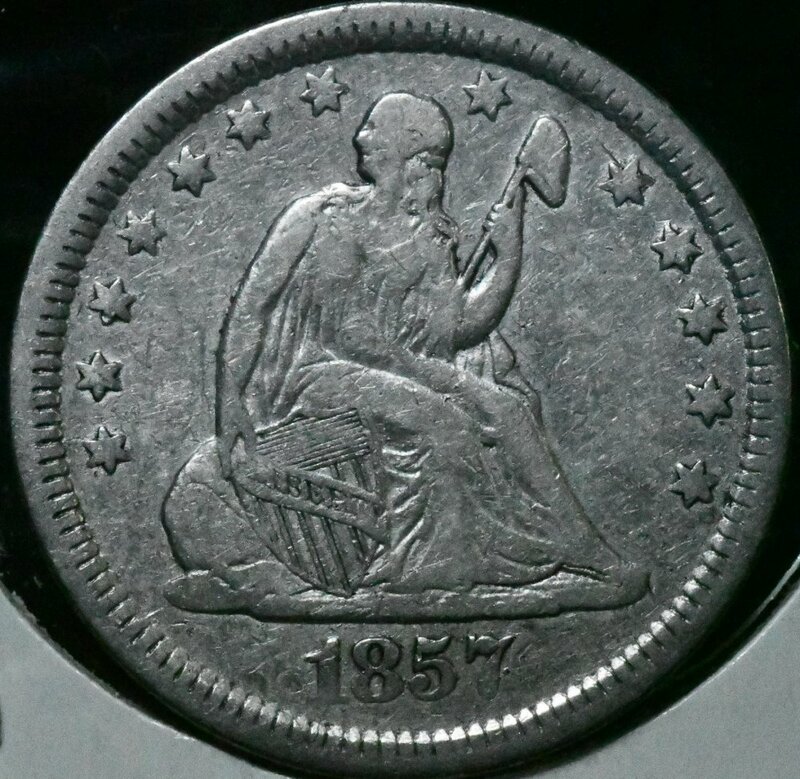 1857 Liberty Seated Quarter With Motto. for sale.